Recently in a twitter chat a question was asked : Which city (that you’ve visited) is the best to explore on foot, and why? 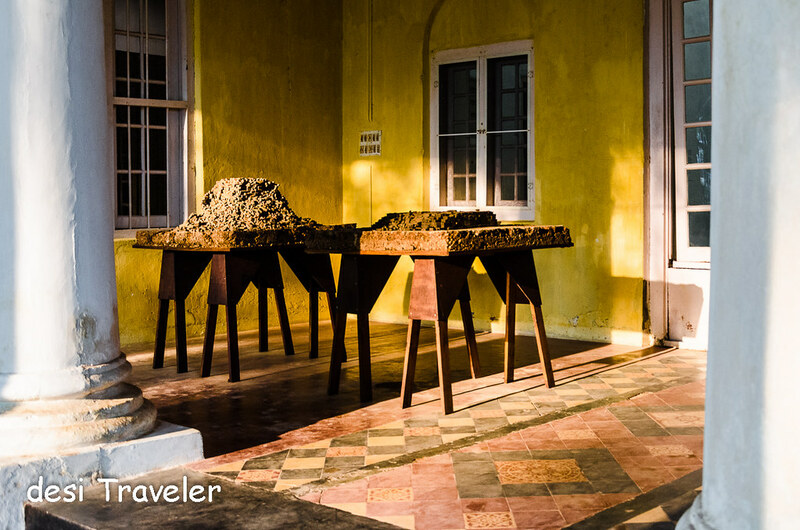 Without a blink I answered : Fort Kochi, as it is a vibrant city buzzing with art works that is best discovered on foot. Many agreed. I was off course sharing my personal experience of walking the Fort Kochi right from the pier area to all the way to Jew Town, slowly discovering the charms of this jewel of a city whose lanes smell of the most fragrant of spices waiting for their journey across the world. 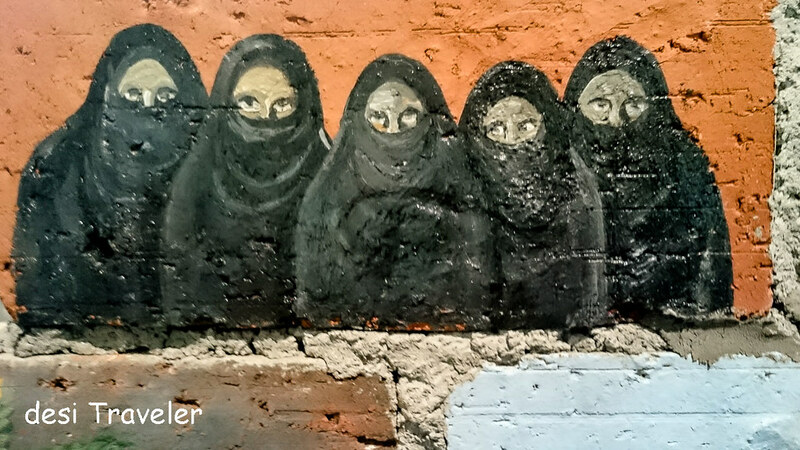 This last trip I walked the Fort Kochi area to capture a glimpse of the Kochi Muziris Biennale hosted by the Kochi Muziris Biennale foundation. The even though only a few years old has gathered global attention and is a must to attend if you are in Fort Kochi area during December to March period. 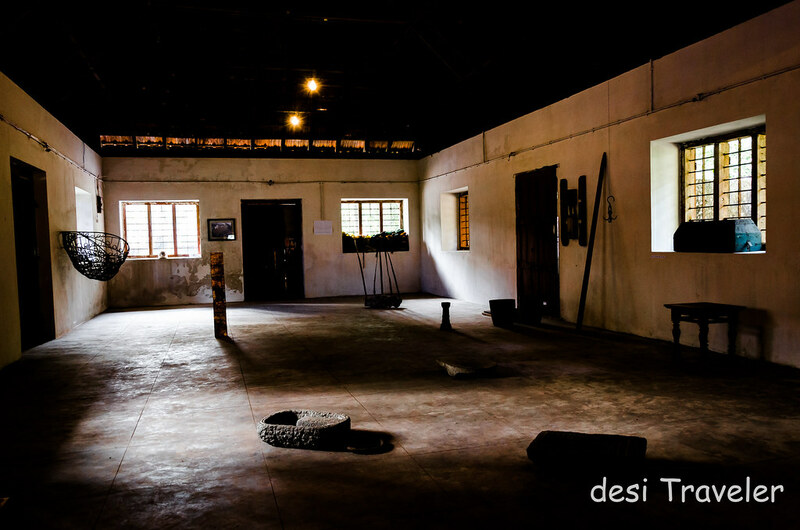 This year’s Kochi Muziris Biennale dates are from 12th December 2014 to 29th march 2015, so you still have time to visit the same. 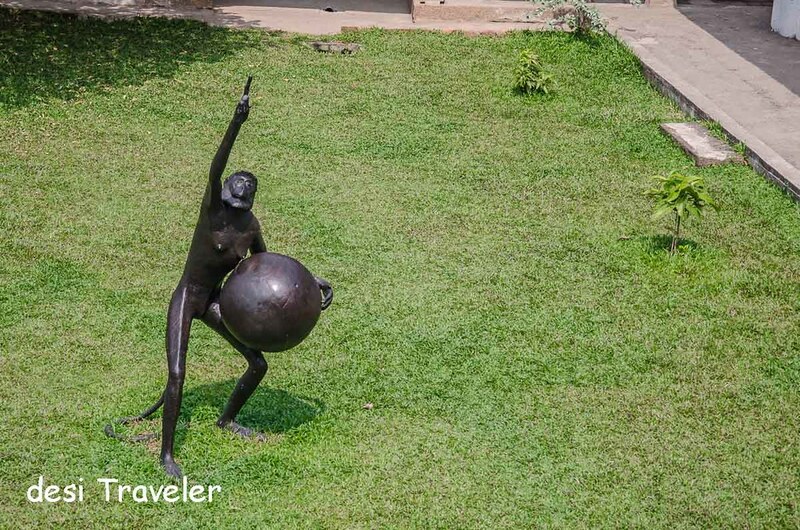 With art installations everywhere in town every nook and corner of Fort Kochi becomes one big open air art gallery and you feel like you are in one big Artist Commune. I started from the Mahatma Gandhi Beach, walking towards the Chinese Fishing Nets and checking the open installation of acrobats, now let me warn you her, while the Fort Koch is celebrating Biennale during this period, the town is a very artistic kind of place even otherwise also and its walls are full of some of the best street art that I have seen in India. 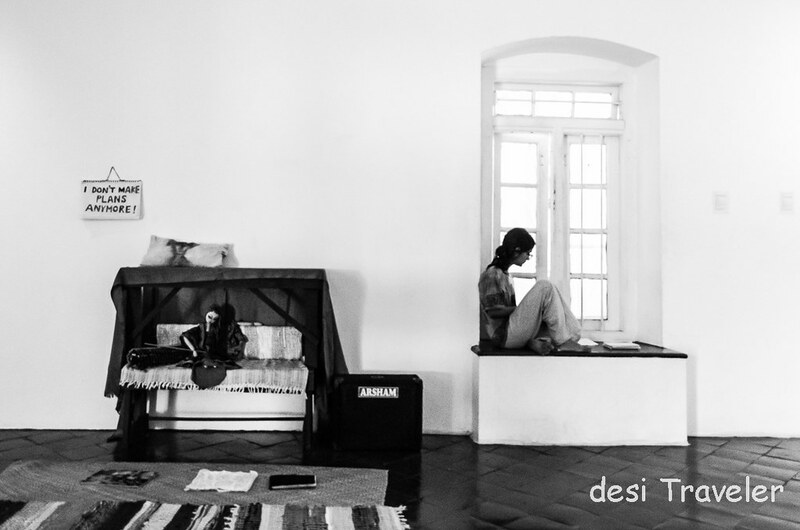 Besides that many well-known Indian as well as expat artists have studios in Fort Kochi and I bumped into a few of them while walking around. The tickets are available at Aspinwall House in Fort Kochi and at Durbar Hall in Ernakulum; they are priced at 100 Rs hundred for adults and 50 for kids below 15. I tried my best to convince the guy at counter that I am below 15 but he would not believe me. But those were the best 100 Rs I have ever spent in pursuit of good art, so no regret that my little con failed. (Off course I am kidding, what did you though I will pass as a 15 year old? ) But let us move forward before I am accused of trivializing art. As I was short of time and there was a long queue to enter the main venue I decided to focus on some of the other venues like Pepper House, and then walked towards Gallery OED, BC Gallery, KVA Brothers, Muhammad Ali Warehouse, then walked towards the Dutch Palace in Matencherry. 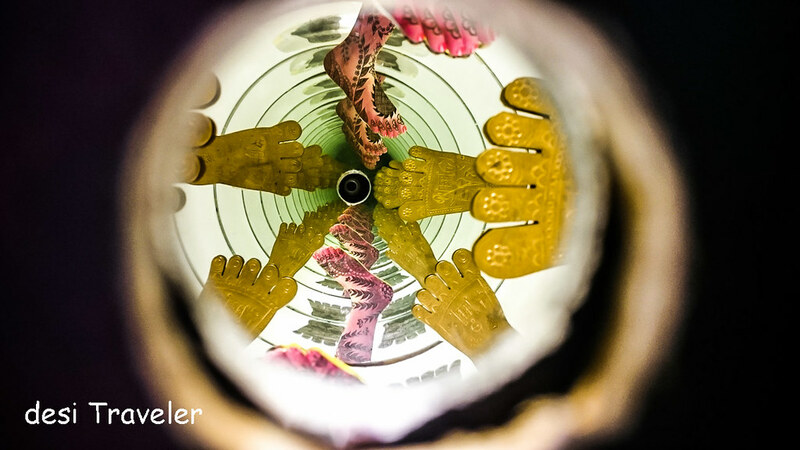 On the way I stopped at various art installations, and clicked pictures of interesting art installation like this picture above, that was actually inside a pin hole and you had to peep in a key hole kind of slot to look at this colorful world inside. 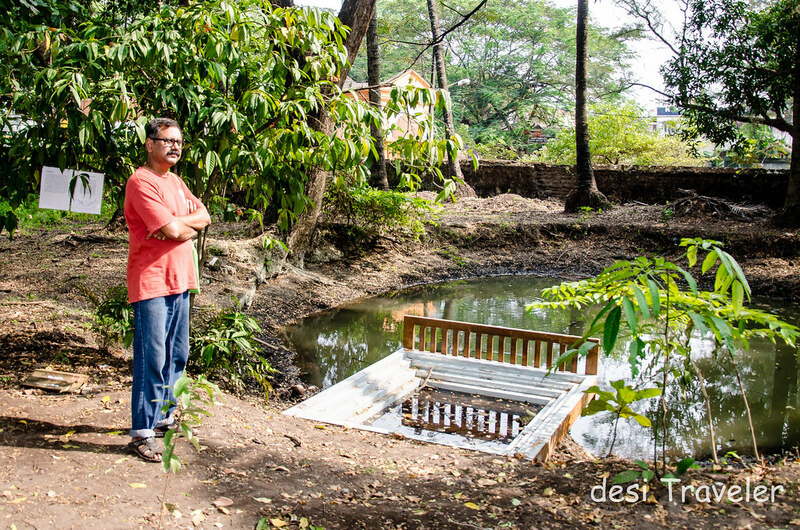 It is here I met artist Nandakumar P.K., who has worked on a project called a Land Reformed 2, where a pond in Pazhannur Bhagavati temple that is in the center courtyard of the Dutch palace was cleaned and made accessible once again. In earlier days this pond was a center for social interaction, and the venue of meals served to the poor and needy but was now lying in neglect and dumped with broken bottles, debris etc. 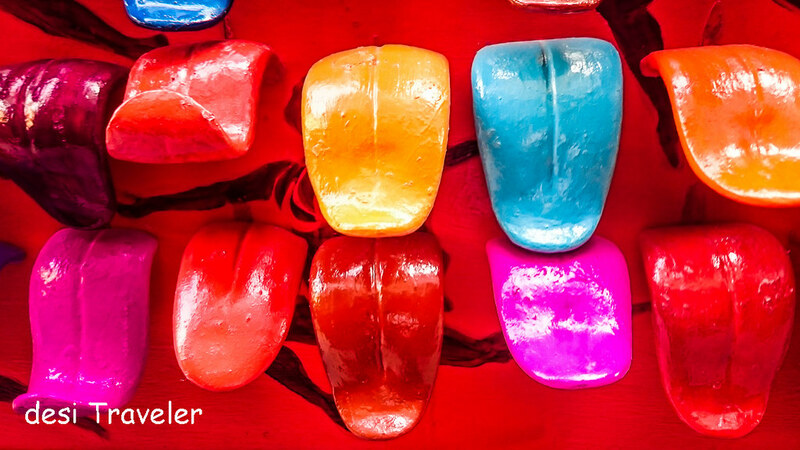 Later I continued to walk in the Jew Town and visited the Heritage Arts, Yousuf Art Gallery, Yousuf Building and Mandalay Hall, overall a wonderful walk that I did at a leisurely pace clicking pictures, chatting with vendors, making friends and doing some window shopping. BTW if you have not checked my post about What To Shop in Kerala, this is the right time to do so, because Jew Town in Fort Kochi is where most of the tourist go for shopping in Kerala and this post of mine was also picked by Kerala Tourism for their book about Kerala Blog Express. I liked this aspect of the Biennale the most where artists, authorities and local communities come together to recreate a sustainable ecosystem that not only help art and artists but also revives the local communities, artisans and brings back a sense of belonging and pride in our common heritage. I saw artworks involving artisans, weavers, washer men etc at various installations making the experience sublime and not snobbish. It is heartwarming to see the yesterday’s warehouses, bungalows, etc. that were decaying in neglect suddenly get a new lease of life and transform in art hotspots. And what a hotspot for art Fort Kochi has become, you are not in some snobbish art gallery, but you are in company of local residents going on with their day-to-day chores, a truck unloading sacks of spices, a rice merchant talking on phone, a housewife waiting for the kids to come back from school. 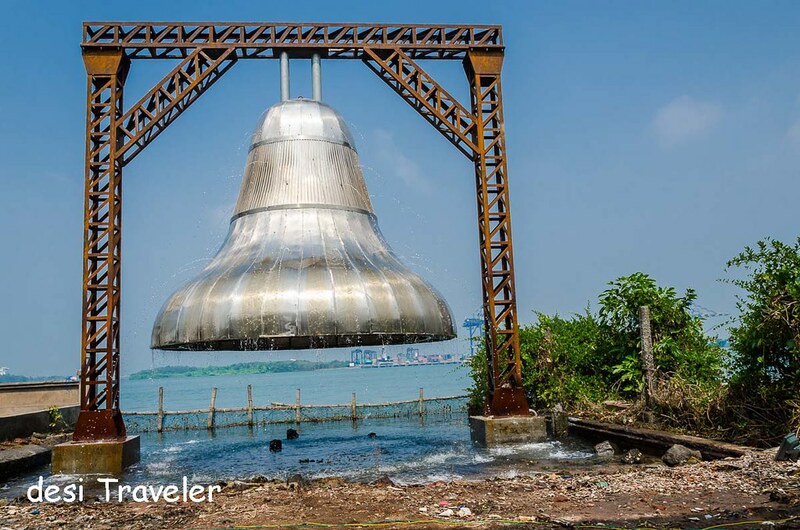 The other major role the Kochi Muziris Biennale plays is to bring upcoming artist to the forefront of the art scene. It was indeed wonderful to meet students from Kashmir and understand their art project. 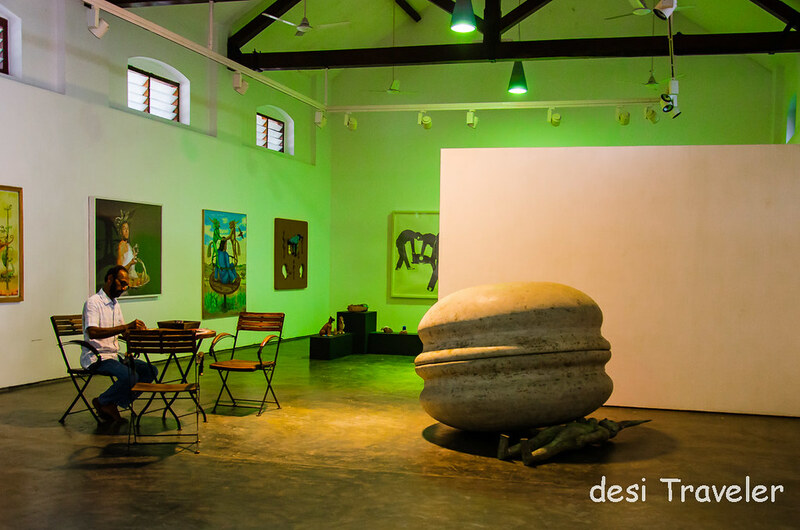 The Kochi Muziris Biennale works at multiple levels on side is the main exhibition which has a ticketed entry, but parallel to the same many other partner/ student and collateral projects run during the Kochi Muziris Biennale and there is no entry ticket to most of them. A lot of volunteers participate in the Biennale to make sure a smooth run. 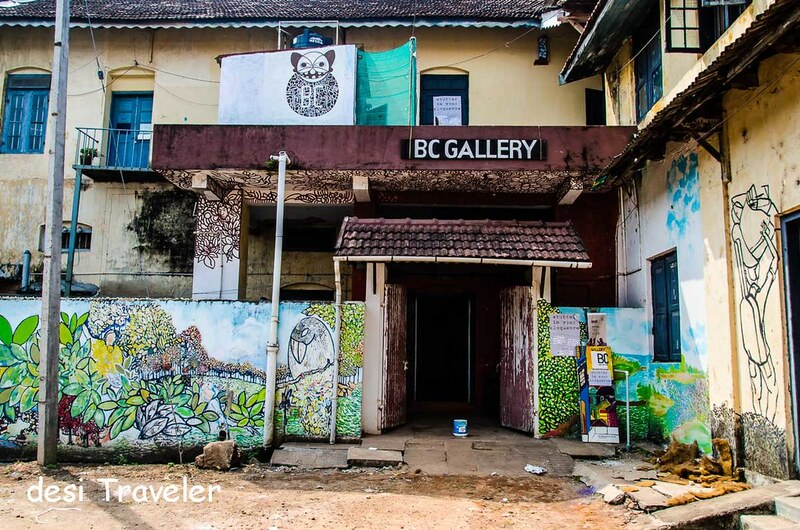 As I had only a day and half in Fort Kochi I could cover may be only 10% of the Kochi Muziris Biennale, so if you are serious art lover ( or even if you have a good sense of humor), I would suggest you take out a minimum of 2-3 days to enjoy the Biennale to the fullest. 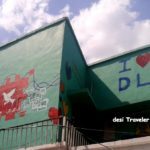 Besides the art exhibition there are regular live shows where you can watch eminent artists both from India and abroad perform, and interact with the visitors. Most of the venues are within walking distance except Durbar hall which is in Ernakulum so it is best to take a ferry to the same unless you want to get stuck in the Cochin traffic. Ticket: Rs 100 for adults and Rs 50 or kids up to 15. Timings: From 9 am to 5 pm for the art galleries. Please check follow the Biennale on Twitter and Facebook for latest updates. The ticket comes with a very useful map, so don’t leave the counter without the map. When I was at the counter due to some reasons map was not available, but I waited and chatted with the guys there and trust me the map was worth it. Note to the reader and artists: My apologies for not sharing the names of the artists whose work I am showcasing here, as when I visited the Biennale I did not have this post in my mind and I genuinely visited to see the artwork and just casually clicked some pictures. If you know the name of any of the artists whose work has been shown here please mention in comments and I will update the post with credit. Well with so much art around I was bound to try to click an artistic picture – What do you say ? 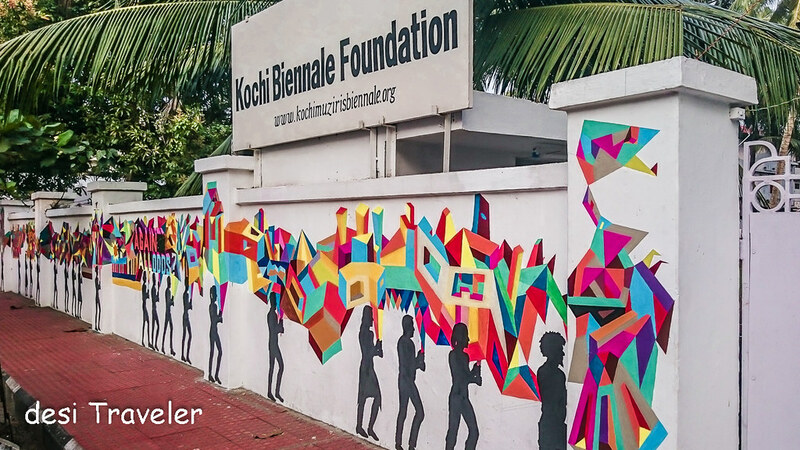 Route map to Kochi Muziris Biennale: Though you will get a map with your ticket here is the route that I followed on my walk and it will take you 4-5 hours to slowly walk and enjoy all the galleries on the way. But you can take more or less depending on the time available to you. Dear readers if you have liked reading the post please feel free to subscribe by email and like it or share it with your friends on Facebook, LinkedIn, Instagram, twitter and Google+ . The place really looks great and I love the arts especially how they used the bricks as their canvas; that’s a very unique concept/idea for me. How I wish this place is just a few blocks away from me. I would really pay a visit. We missed Jew Town. I think it was closed for lunch when we visited. It’s a lovely place, more touristy I thought but the freshest seafood. What an amazing time well spent in Fort Kochi! Tourists even though they are not passionate art lovers will see the beauty in all the different art creations and forms. It’s also great to hear that you can interact with some of the artists and probably pick their minds. 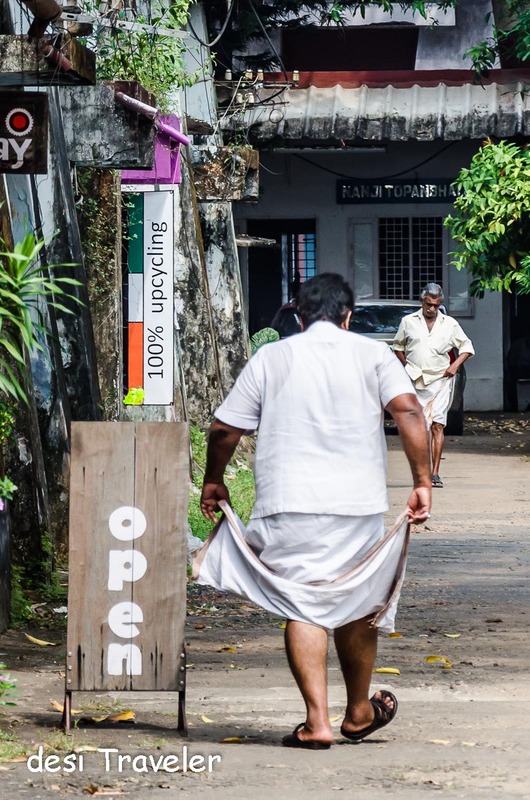 Try walking around in Goa – one of the most relaxed places in India to walk and to discover layers of a city nothing like walking in Delhi. I almost went to Kochi this year for the biennale. Argh! Now I have to wait two more years! Also, nice to know Kochi is best explored on foot. A very good post to read to end my day. Nice photos too. What a fun outing and an impressive collection of artwork. I love that there is so much variety to see and enjoy. 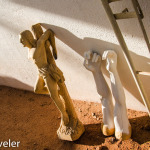 I’ve always loved art installations, so some of these spoke to my heart. 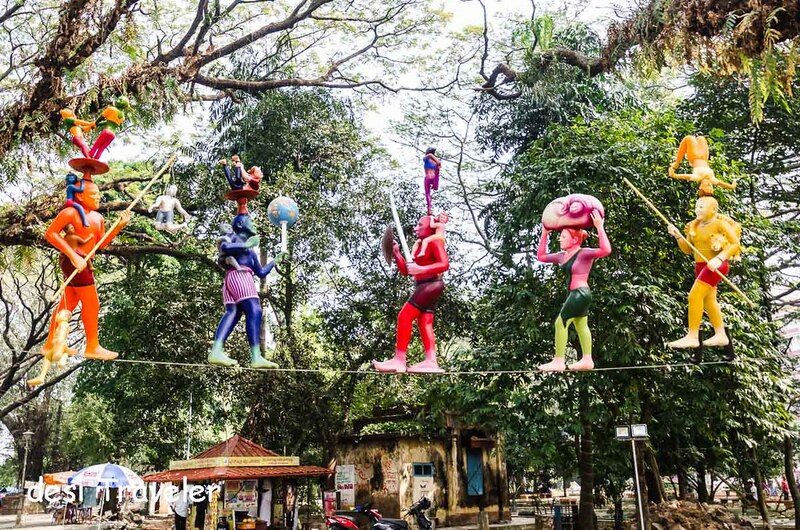 I love art in all its forms, and I am especially impressed by Banjara rope walkers traditions. The other pic that caught my attention is that of the open air art installation created in order to celebrate the hard work of the Port Workers. Amazing! wow my favorite is the brick wall. great post bro! I don’t always enjoy art which I can’t interpret, but the burger consuming us as a symbol of globalization is something I would enjoy. That place looks very interesting. Wow! Your pictures and experience are amazing! There’s so much to learn when traveling by foot. 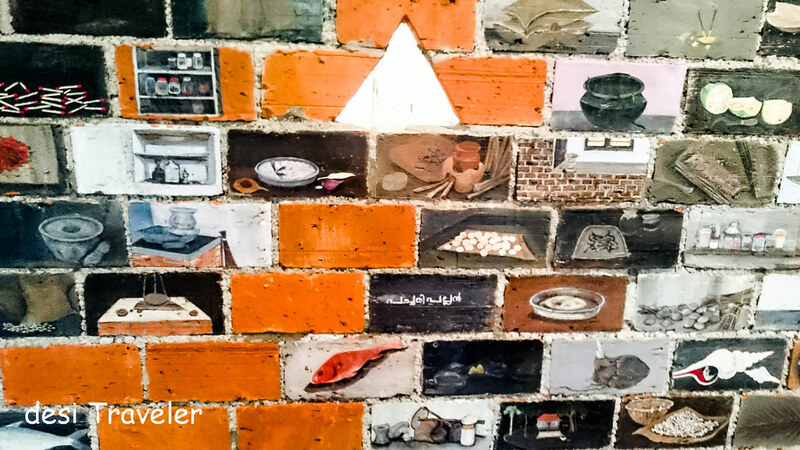 The art exhibition can be a great inspiration for aspiring artists and students. The artwork really looks amazing in these photos especially. I would really enjoy it. My favorite one is of the tongues sticking out of the wall. Wow! never know about Fort Kochi before this. Indeed it is an open air art gallery and I find that the BC Gallery really an unique art by itself. Hope I can visit there one day. 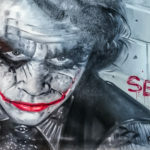 These are unique art pieces that require people who understand them and appreciate them… Thanks for trying explain these to us! Fun museum! Seems like a great place to visit. I am a fan of your travel adventures! And what beautiful pictures your walked resulted in! Nice coverage of the Biennale. Love this art festival at Kochi. Wow!! So much creativity, there. I’d like to do an art walk there. Let me see if I can manage to do it this time. What an wonderful post. Art never fails to amaze. The Biennale is an absolute treasure trove…wow!. 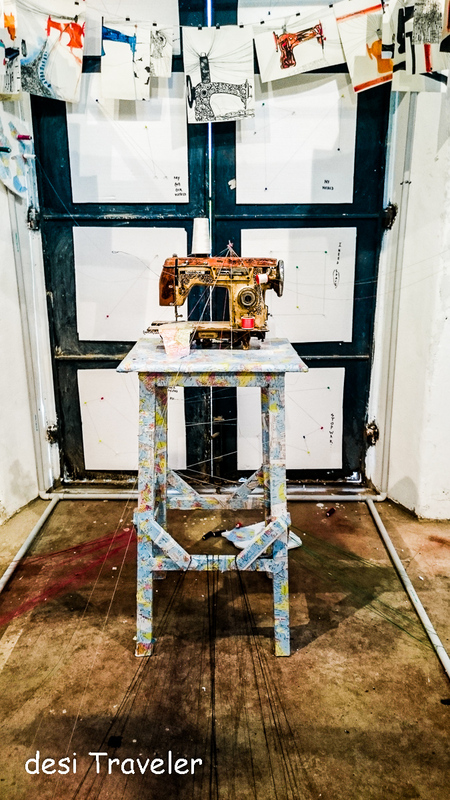 I really loved the sewing machine installation. 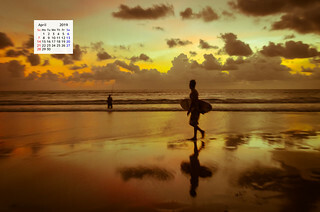 This post was informative, good to read with some very nice clicks. Fort Kochi is indeed an awesome place. I visited it 2 years back, on my honeymoon trip to Kerala. 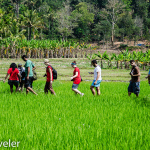 Hi Swati: Welcome to desi Traveler.. glad that the post was able to rekindle old memories for your..thanks.